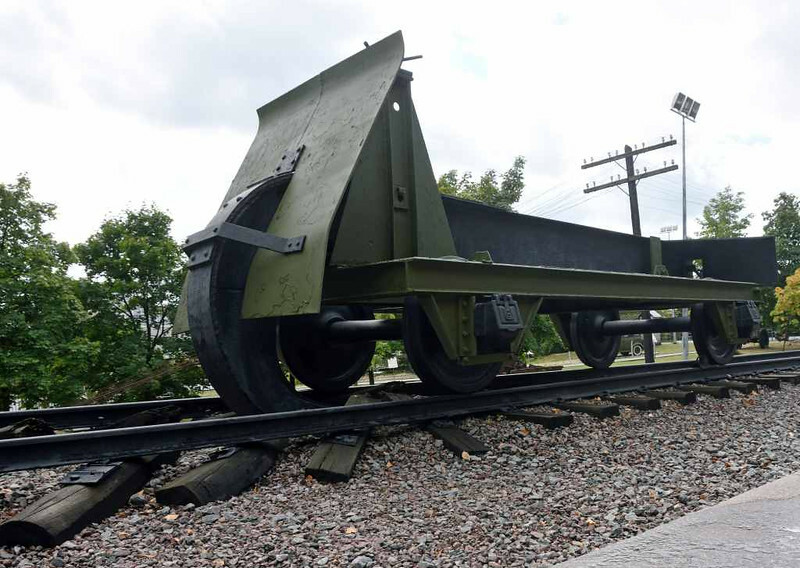 Replica German track wrecking hook, Great Patriotic War Museum, Moscow, 29 August 2015. The hook breaks the sleepers (ties) causing the rails to spread. In use it would be very heavily ballasted to a weight of 30 tonnes, and would be hauled very slowly by one or two locos. The hooks were used from 1943 as the Germans began to retreat on the Eastern Front. This replica was built for the museum in 1995.